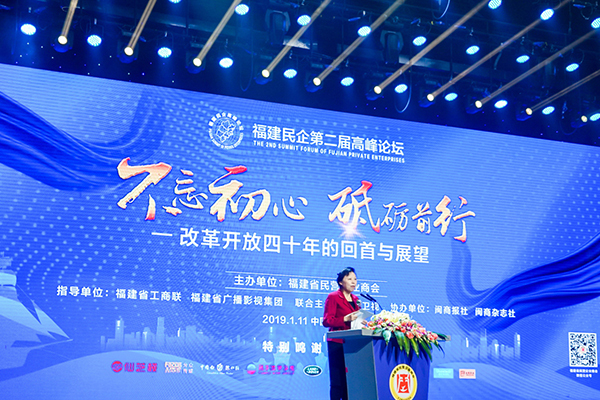 On January 11, the second summit forum of Fujian Private Enterprises was held in Fuzhou. GANOHERB and other business leaders and industry leaders gathered together to review the brilliant achievements of Fujian's reform and development in the 40 years of reform and opening up, looked forward to the major trends and new hotspots of reform, and jointly sought the wonderful future of Fujian's private enterprises. Lei Chunmei, Member of the Standing Committee of CPC Fujian Provincial Committee and Director of Fujian Provincial Committee United Front Work Department, attended the forum and delivered a speech. 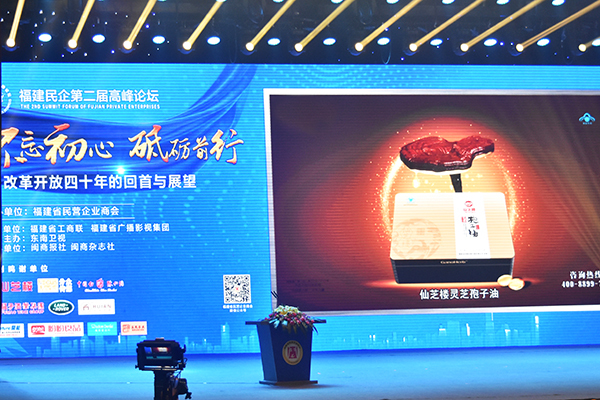 Cao Dewang, Chairman of Fuyao Group, Fu Guangming, Chairman of Shengnong Group, and Lin Hongxiu, Chairman of Rongqiao Group, gave keynote speeches. As the key leading enterprise of agricultural industrialization in Fujian, GANOHERB was selected and invited to attend this summit forum. Li Jiyun, General Manager of GANOHERB Marketing Center, participated in this forum on behalf of enterprises. At the meeting, General Manager Li Jiyun and elites from all walks of life made a discussion on how Fujian enterprises could develop better and faster in 2019. Chairman Cao Dewang replied: "We must adhere to the control of product quality, strengthen the understanding and judging of the international situation, and prepare for risks and challenges." Chairman Fu Guangming said, [We must insist on doing one thing well, we must not pursue quick success and aim at the moon." 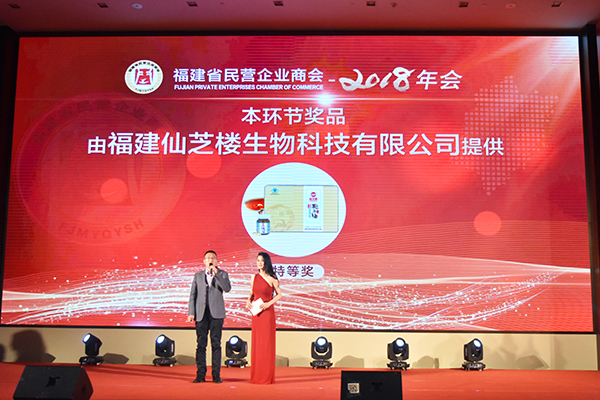 Chairman Lin Hongxiu said, [The enterprise is a hen which lays eggs, as long as you are on the right track, you can boost the economy and serve the society." General Manager Li Jiyun said, "We will draw on the wonderful remarks of the elites. In 2019, GANOHERB will focus on the technology investment of products and the health needs of consumers, wholeheartedly develop organic Reishi Mushroom to the really well and wholeheartedly enable more people to enjoy the health benefits brought by Ganoderma lucidum." In addition, GANOHERB was the leading sponsor of this forum. At the forum, GANOHERB displayed the Chinese organic Ganoderma lucidum by broadcasting promotional videos to the elites of the merchants. At the dinner party, the Ganoderma lucidum product tasting area was specially set up. 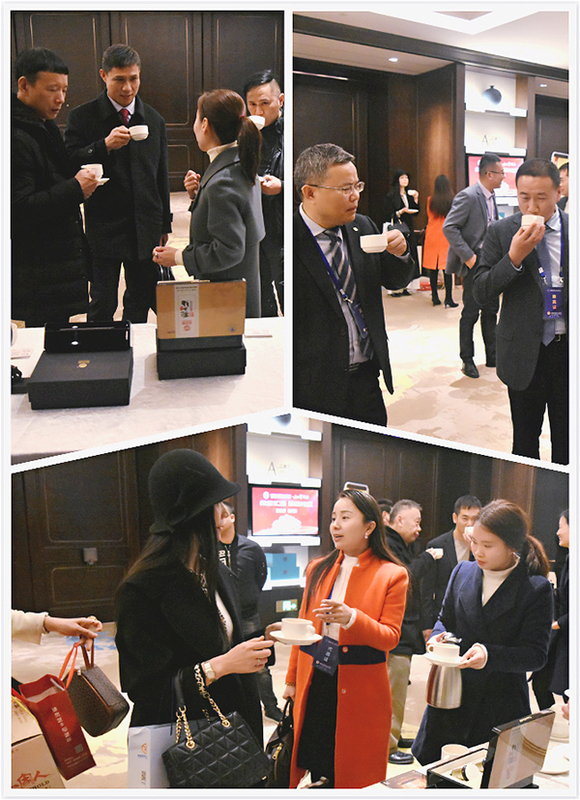 The guests who came to the banquet stopped to taste the Ganoderma lucidum Tea and understand the Ganoderma lucidum products. They praised the taste of Ganoderma lucidum tea and the cultural connotation of Ganoderma lucidum. The dinner guests tasted the GANOHERB Ganoderma Tea. GANOHERB will take this forum as an opportunity, keep firmly in mind its mission of [passing on the millennium health culture and contributing to wellness for all" , summarize the great achievements and valuable experience since China's reform and opening up, stay true to the mission and forge ahead, and strive for the global business of the organic Lingzhi.